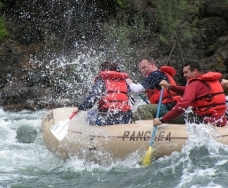 White water river rafting & river wine tours on the Clark Fork River with Pangaea River Rafting in Missoula, Montana. For kids 6 and older or mature travelers looking for a more sophisticated adventure and everyone in between. 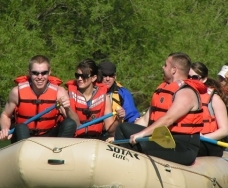 Leave Boring Behind this summer with Pangaea River Rafting 1-877-239-2392. Open 7 Days a Week, April through September - Operating on the world famous Alberton Gorge.